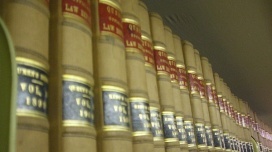 In addition to protections afforded by federal and state employment discrimination laws, as well as contractual guarantees, workplace tort laws also protect employees against wrongs of another kind, such as fraudulent inducement, defamation, intentional infliction of emotion harm and/or interference with your ability to obtain and maintain gainful employment or business opportunities. Misrepresentations made to an employee relating to the financial stability of the company, the company’s future plan to relocate its operations and the employee’s position in the corporate ranks, all designed to induce the employee to accept employment with the company are not a normal part of an employment relationship and a civil action against such an employer by the employee may not be barred by the workers’ compensation bargain. Workplace defamation may occur where an employer makes a written (libel) or verbal (slander) false statement about a worker to a third person, resulting in damage to the worker’s reputation. Where the employer did not act with malice (malicious intent), the employer may have a qualified privilege to make statements about an employee or former employee to interested parties including clients, other employees or prospective employers. Employees may overcome the privilege if an employer acts in bad faith or with malice or makes excessive or inappropriate publication without trying to determine whether the statements were true or not. An employers’ negative opinion about a worker’s job performance generally does not create a claim for defamation. To prove a successful cause of action of intentional infliction of emotional distress a "plaintiff must establish intentional and outrageous conduct by the defendant, proximate cause, and distress that is severe." Buckley v. Trenton Sav. Fund Soc'y, 111 N.J. 355 (1988). The conduct of the defendant need not be intentional as “[l]iability will also attach when the defendant acts recklessly in deliberate disregard of a high degree of probability that emotional distress will follow.” Hume v. Bayer, 178 N.J. Super. 310 (Law Div. 1981) citing Restatement, Torts 2d § 46, Comment (d) at 73. Next, “the defendant's conduct must be extreme and outrageous” and proximately cause the plaintiff’s emotional distress. Hume, supra, at 315; Caputzal v. The Lindsay Co., 4 N.J. 69, 77-78 (1966). Finally, “when the intentional conduct is directed at the plaintiff, he or she need not prove any physical injury, Hume, supra, 178 NJ Super at 319. It suffices that the conduct produces emotional distress that is severe. Id. citing Portee v. Jaffee, supra, 84 N.J. at 101. If your former employer interferes with your ability to obtain gainful employment, you may have the right to pursue a claim for unlawful interference with prospective economic advantage. This cause of action is based on the premise that a person has a right to pursue a lawful business and employment opportunities and to enjoy the fruits and advantages of one’s efforts to pursue a living. Because of this the law protects against a person or business’ unjustified and wrongful interference in your efforts to find, obtain and maintain employment or business opportunities. See generally New Jersey Model Civil Jury Charge 3.30A. If you believe you are the victim of workplace torts such as fraudulent inducement, defamation, intentional infliction of emotion harm and/or interference with your ability to obtain and maintain gainful employment or business opportunities, do not hesitate to contact the attorneys at Mashel Law, LLC. Mashel Law located in Marlboro, New Jersey, is dedicated exclusively to protecting the rights of employees.